A BART police officer caught on tape trying to persuade a teen armed robbery victim not to file a police report because it would be a “waste of resources” is facing an internal affairs investigation after NBC Bay Area’s Investigative Unit obtained a recording of that phone call. Senior Investigative Reporter Vicky Nguyen reports on a story that first aired Wednesday, April 10. 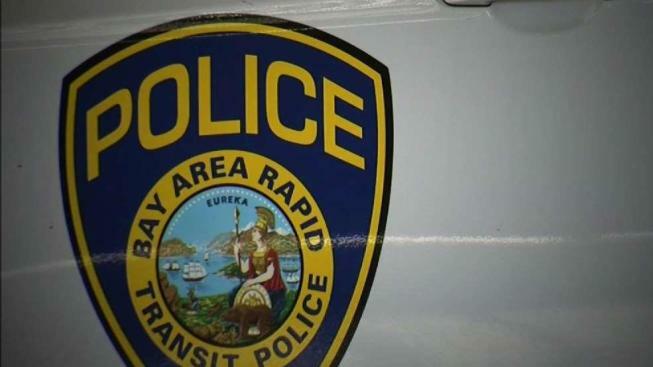 A BART police officer caught on tape trying to persuade a teen armed robbery victim not to file a police report because it would be a “waste of resources” is facing an internal affairs investigation after NBC Bay Area’s Investigative Unit obtained a recording of that phone call. The victim, a 17-year-old from New York visiting friends and family in the Bay Area, says he and his cousins were robbed at gunpoint while waiting to pick up a friend at Oakland’s Fruitvale BART station. “I had pulled in the parking lot and two men pulled up behind and basically blocked me in with their car and came at us with guns pointed, and basically told us, ‘phones and wallets,’” Mike, the victim, said. NBC Bay Area is not identifying his last name because he is a juvenile. But more surprising than being robbed at gunpoint, Mike said, was how a BART police officer following up on the robbery relentlessly discouraged him from filing a police report. In a partial recording of that phone conversation viewed by NBC Bay Area, the BART officer can be heard rebuffing Mike’s multiple attempts to file a report. A BART officer is heard in an audio recording rebuffing a robbery victim's attempts to file a report. When Mike insisted he wanted the report filed, in part because personal information was stolen and he was concerned about potential identity theft, the officer continued to dissuade him. “But you realize writing the report – there’s really no point,” the unidentified BART officer can be heard saying. Mike said there was no additional follow up from BART officers, and he was told surveillance cameras did not capture the robbery. One of the suspects opened Mike’s car door during the robbery, he said, but BART officers never tried to lift the suspect's fingerprints from the vehicle. When Mike asked whether he could have a copy of a police report mailed to him in New York, he was told he would have to come back to California and pick it up in person. After reviewing the recording obtained by NBC Bay Area, BART Police Chief Carlos Rojas called the conduct of the officer “unacceptable.” He said despite the officer's comments on the phone, she did in fact end up writing a report, although Mike says he never received a copy. “I was definitely concerned by the comments that were made by the officer during that interaction,” Rojas said. Rojas opened an internal affairs investigation into the officer, who he declined to identify. “I want to emphasize that these were the actions of once officer and we’re going to hold the officer accountable,” Rojas said, while also acknowledging the officer has the right to due process. Rojas said the department is also following up on the criminal investigation into the robbery, although he said he could not offer any specifics. According to police data, violent crime on BART rose by 57% between 2013 and 2017. Rojas attributed much of that to a rise in phone and purse snatches, and said he hopes to soon increase the number of officers on patrol. Mike, though, wondered if the officer he spoke with tried to talk him out of filing a report in an effort to suppress crime statistics. Mike said he hopes the recording might change how BART officers interact with the public.